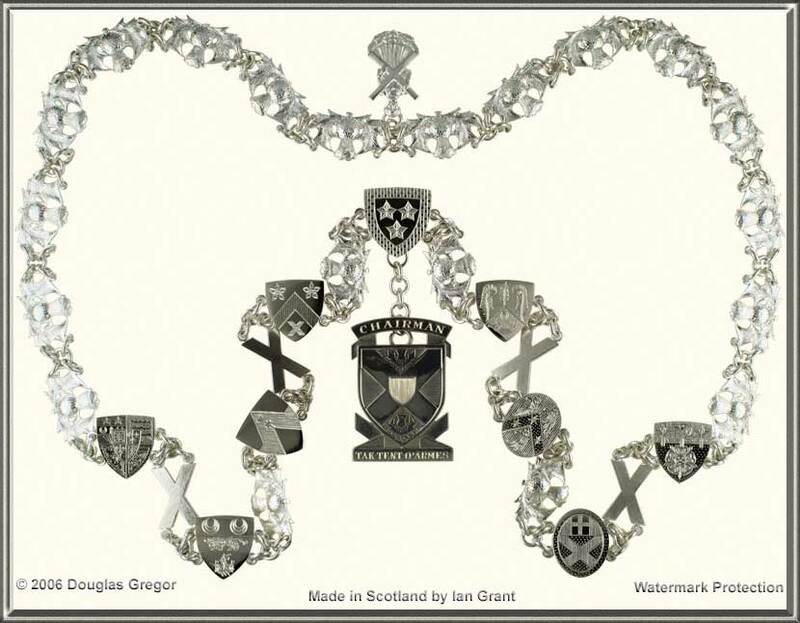 The place of heraldry in Scotland today. Finding your way about a coat of arms. Links to apply for your own coat of arms. 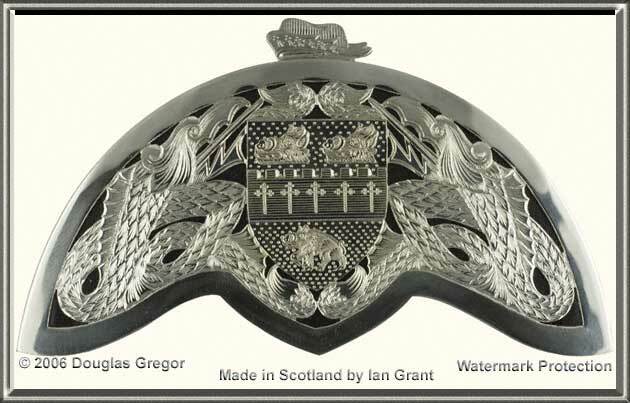 Personalizing service: any heraldic device, monogram or other motif engraved on our kilt accessories, rings, quaichs, platters or on your own silverwear. Highland Dress accessories custom made from one of our designs or to your design. The finest, widest and most unique range In the last thirty years we have created a range of kilt and Highland Dress accessories which has no equal. Some of our designs have been copied, but our quality has never been matched. 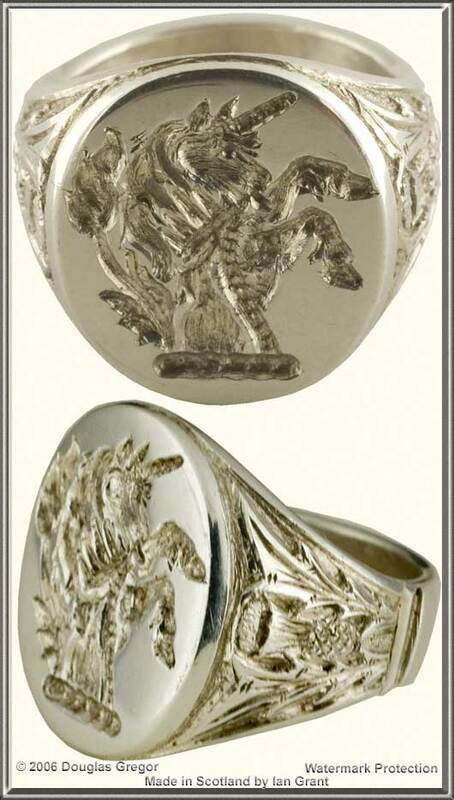 We have four themes in hallmarked silver and nine variations of four themes which are plated. 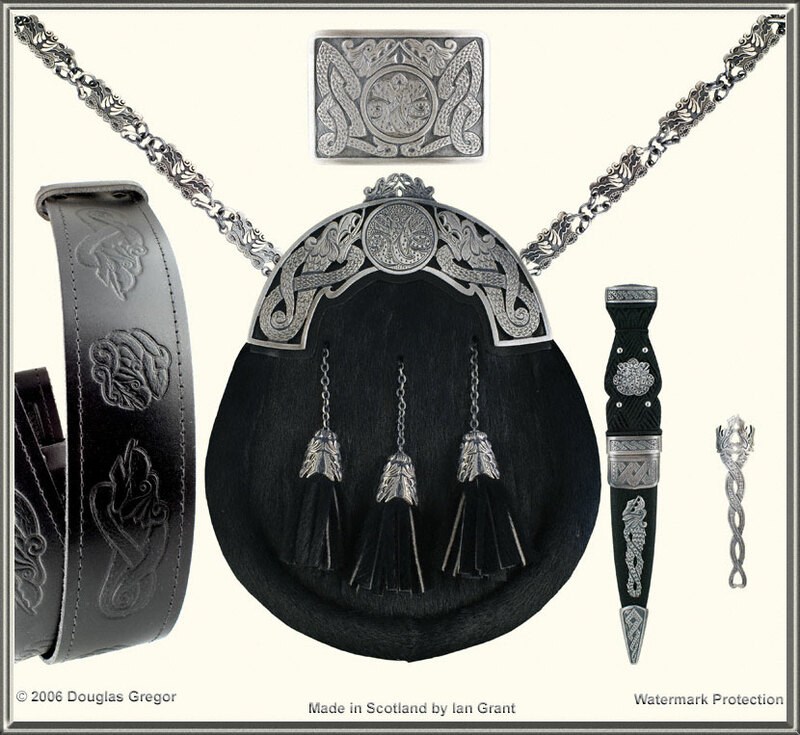 Each of these is available as a matching set: the sporran and its chain strap, belt and belt buckle, sgian dubh, kilt pin, cufflinks and brooch, are part of a matched set. We can also make matching buttons on special request. This makes our range of Highland Dress accessories unique. of Highland Dress accessories in Scotland. Select from a kilt pin to a full sporran set of matched items.